We will serve our community by providing high quality instructional programs that directly reflect the needs of the people, children, families, seniors and businesses. 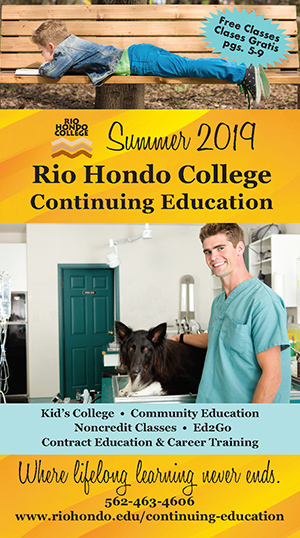 The classes range from professional and workforce development, to personal growth and enrichment, and are held on campus and at many locations within the College’s district area. 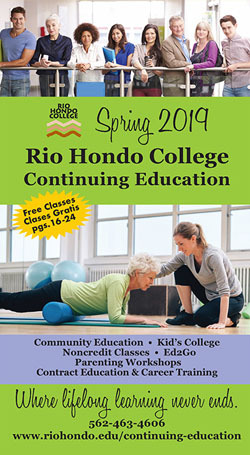 The goal of Rio Hondo College’s Continuing Education department is to provide captivating and useful programs to our community that empower students of all ages to achieve educational, career, and personal goals in order to meet life’s opportunities and challenges.